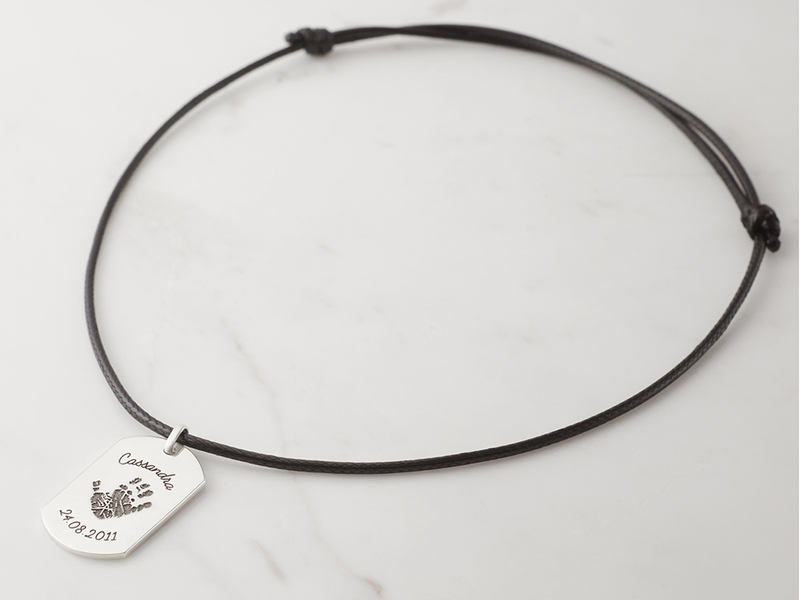 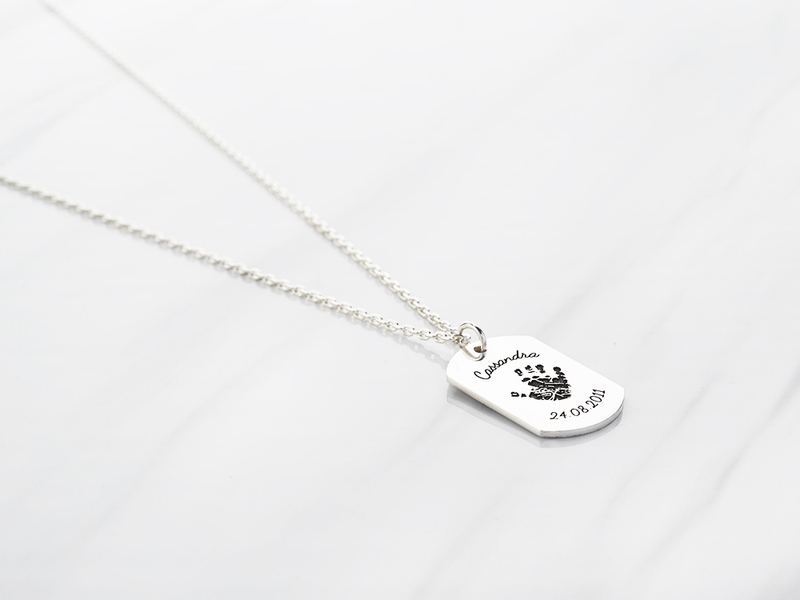 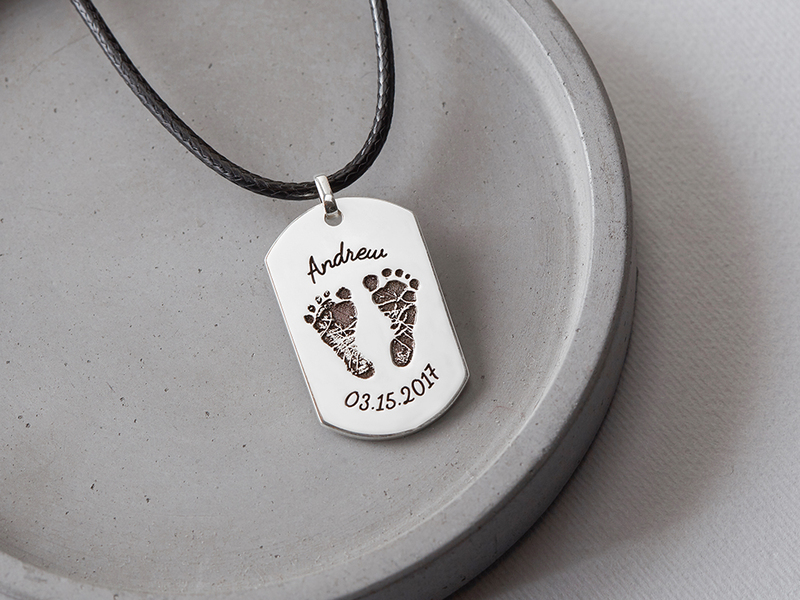 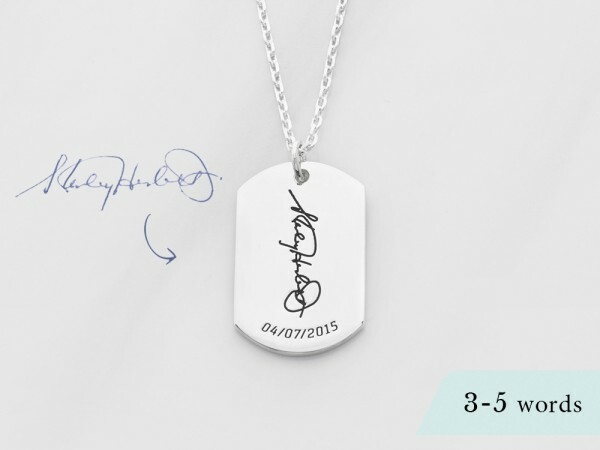 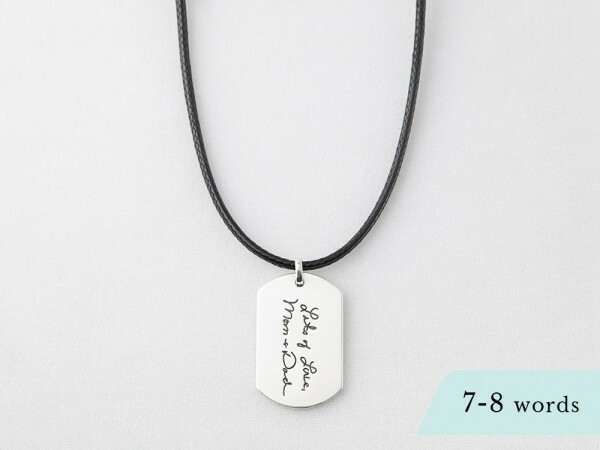 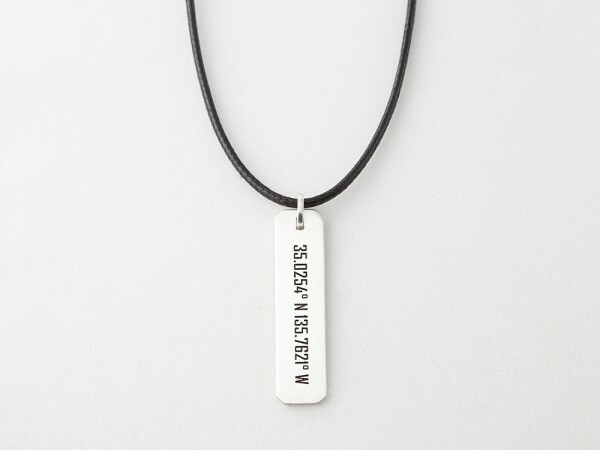 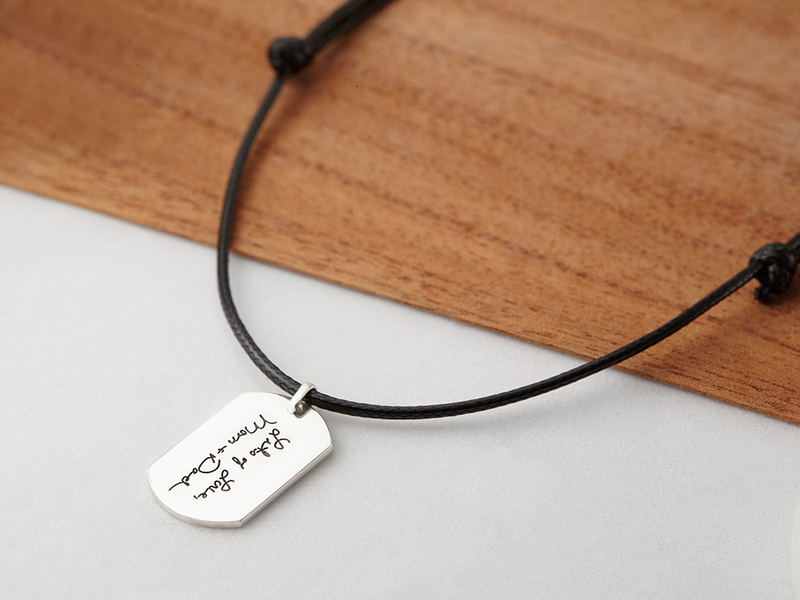 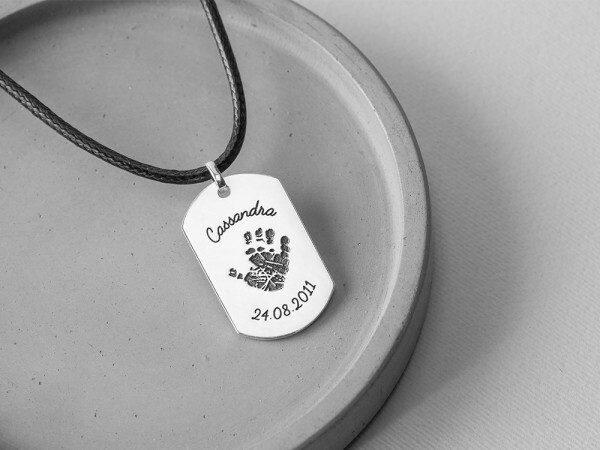 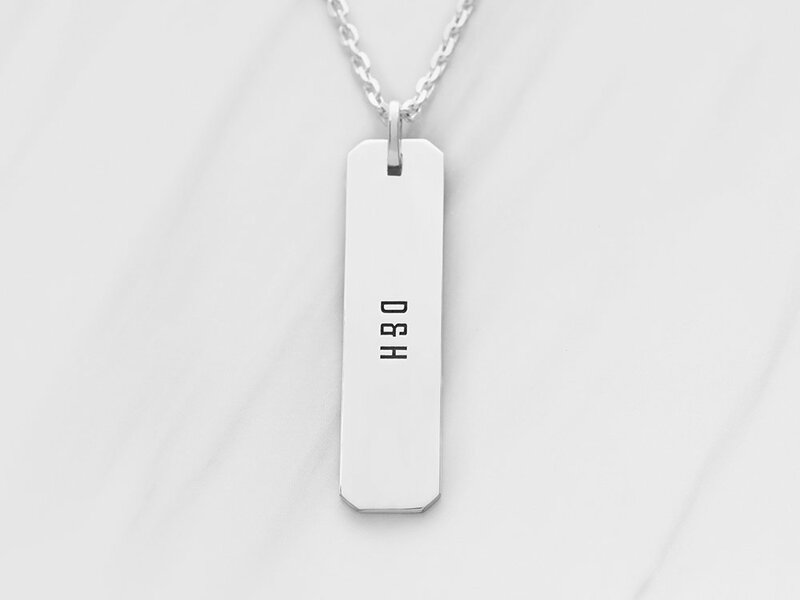 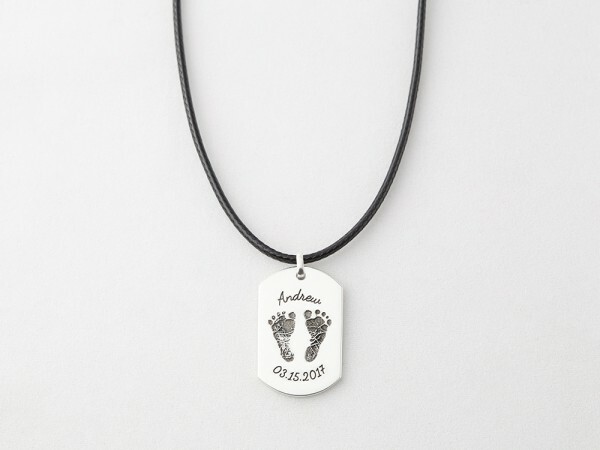 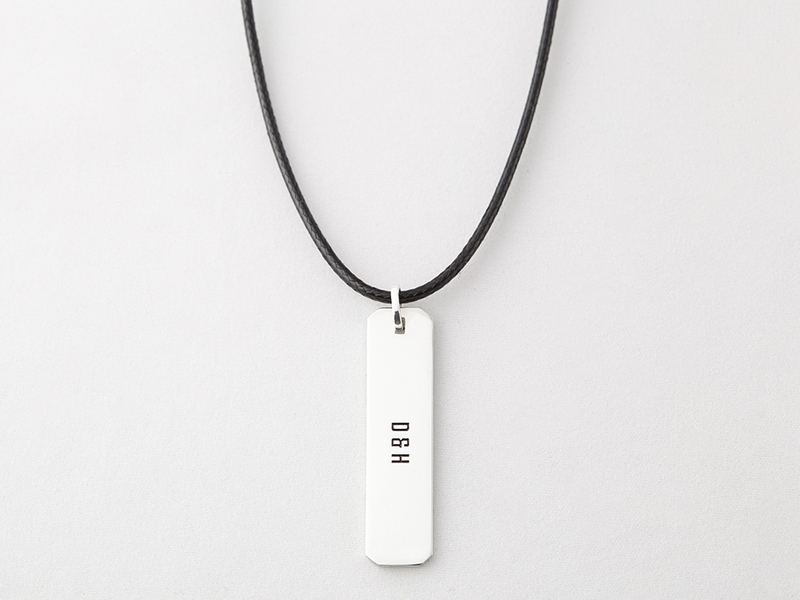 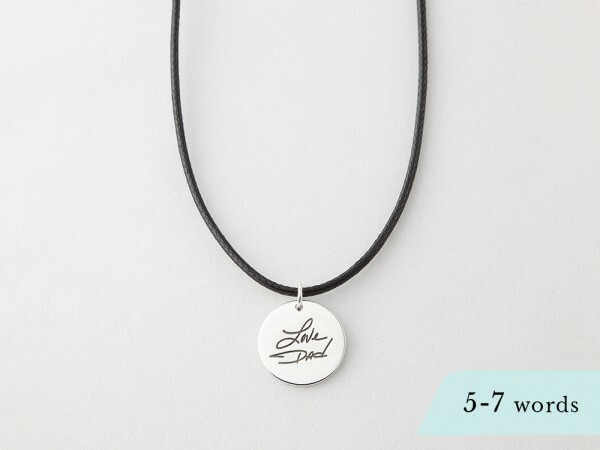 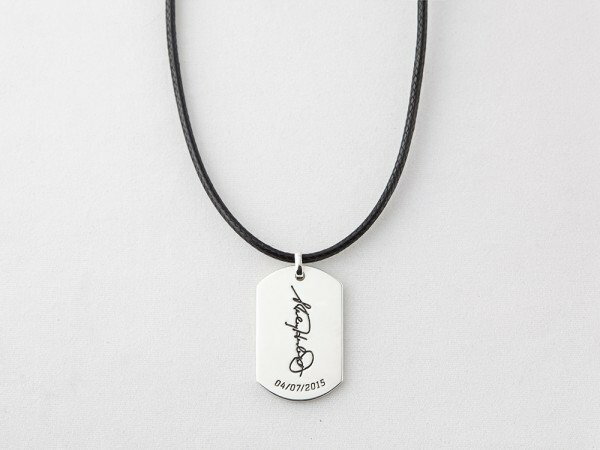 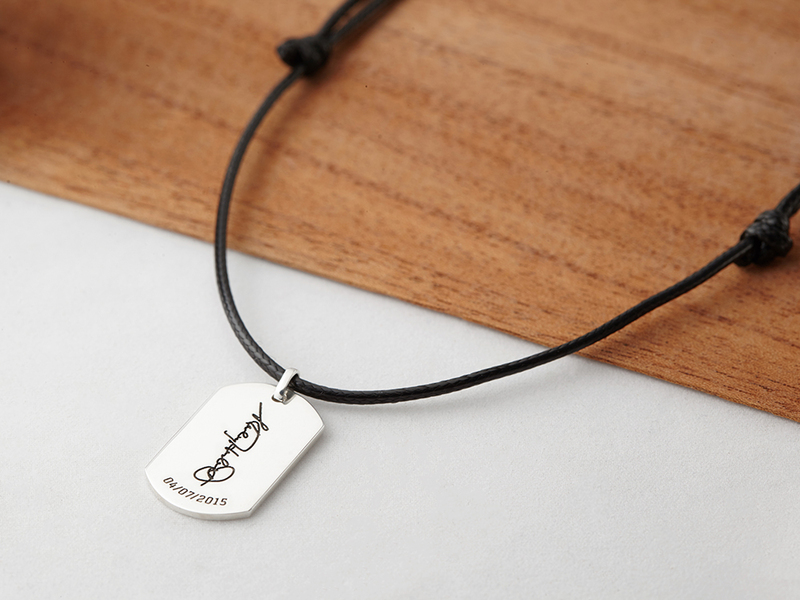 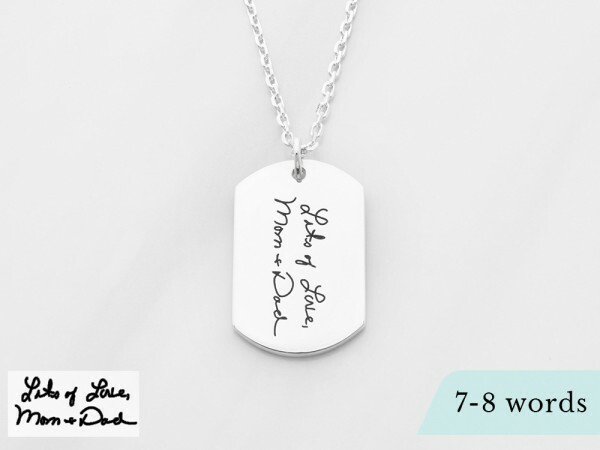 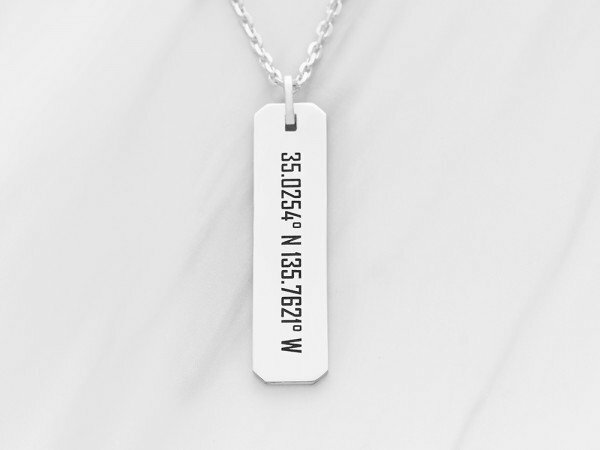 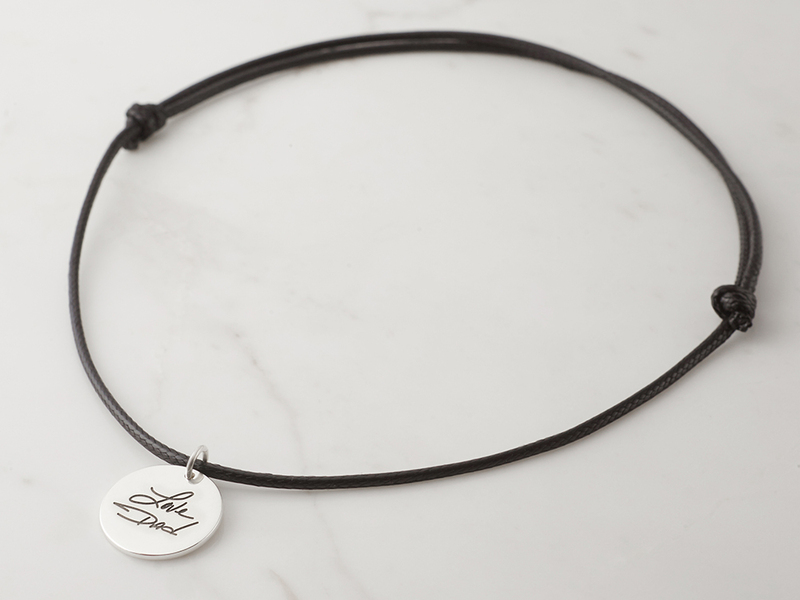 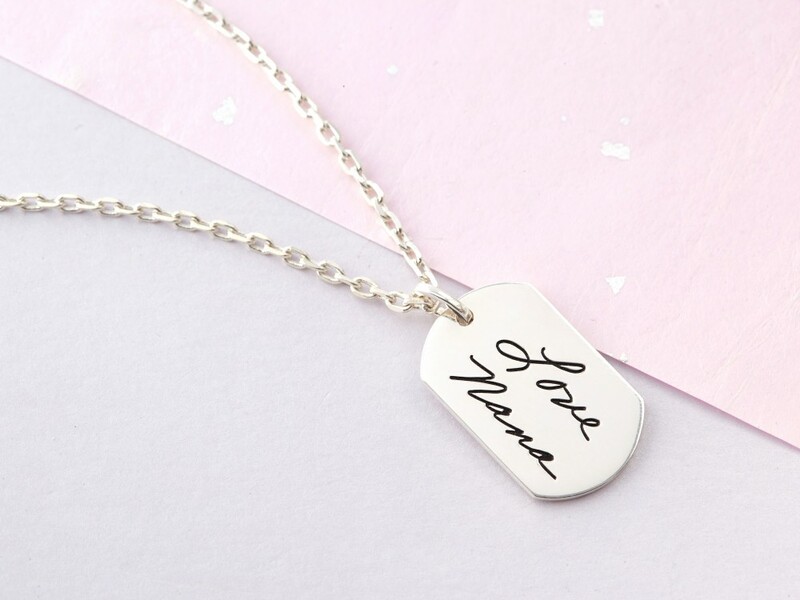 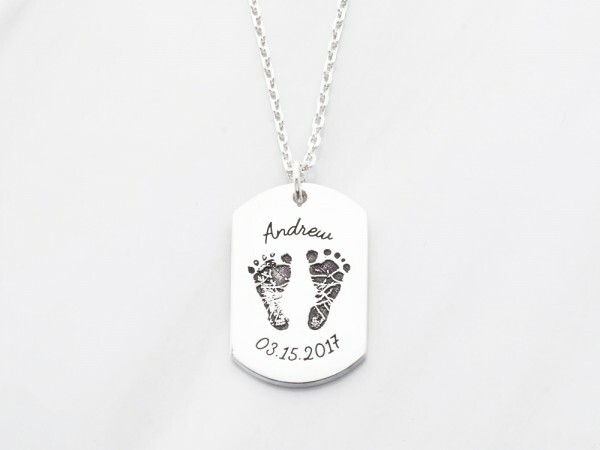 Engraved with handwriting, name or dates, a personalized dog tag necklace is great jewelry gift for your boyfriend, husband or sons. 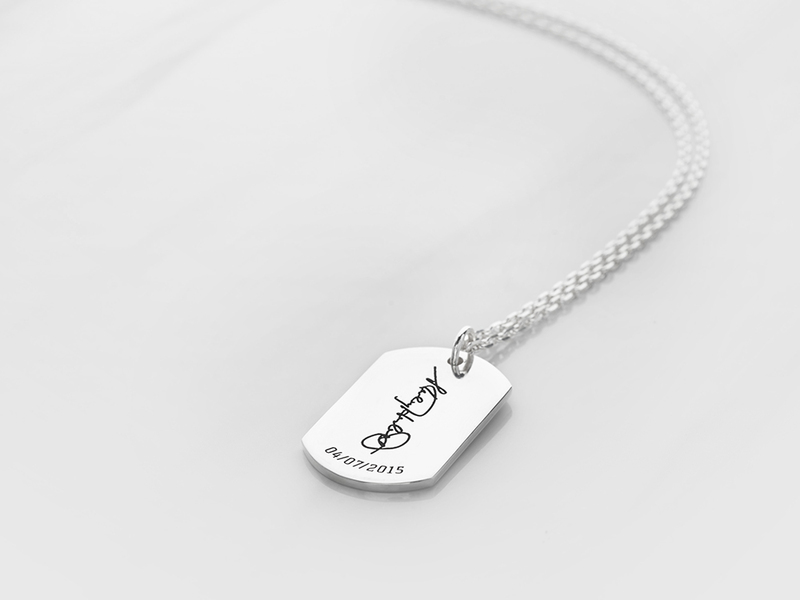 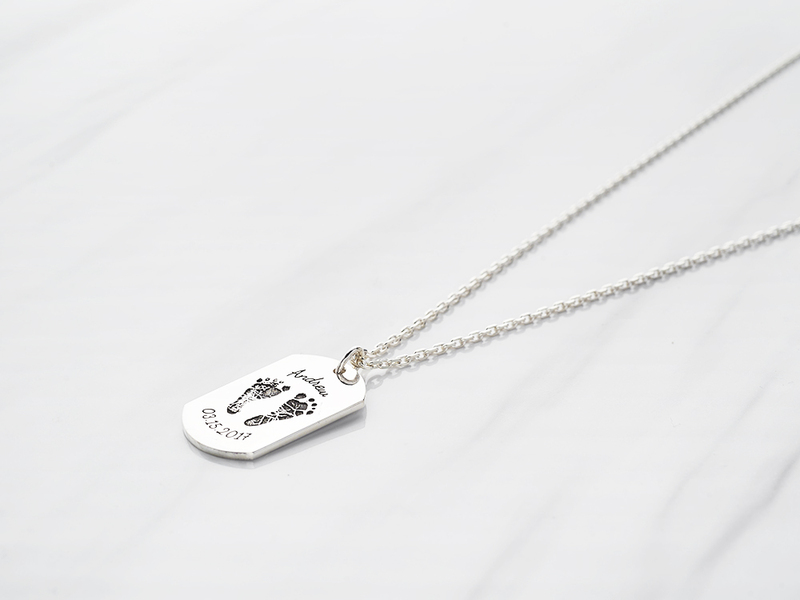 You can choose to have a dog tag necklace in the original sterling silver or plated with 18K yellow or rose gold. 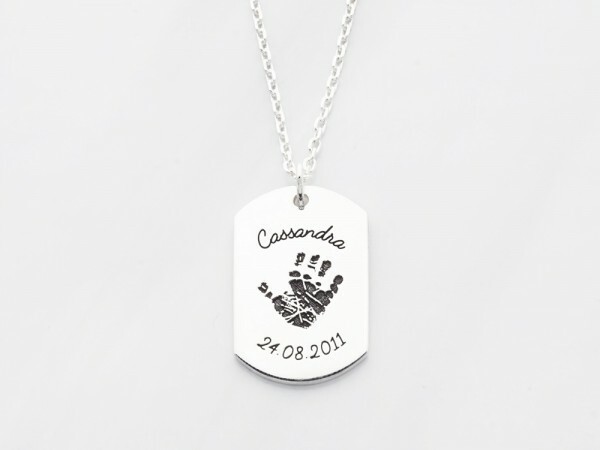 Great for Christmas, Valentine's Day or occasions when you want to give a gift with meaning to the man of your life.